You never quite know what to expect when you sit down for one of Irish director Neil Jordan’s films. “The End of the Affair” was unpredictably sexual, “The Brave One” outrageously violent and suspenseful, even his vampire flick “Byzantium” gave the genre a completely different perspective. His latest thriller “Greta” makes very good use of Isabelle Huppert who was recently nominated by the Academy for another seductive thriller “Elle.” Outrageous doesn’t begin to describe the events of “Greta.” Jordan masterfully crafts all of his genre films, but he takes this one to wildly erratic new heights. It’s essentially a Tarantino/Shyamalan type horror film that isn’t afraid to take the audience on a wild goose chase. Naïve and impressionable, Frances McCullen (Chloë Grace Moretz) finds a purse on the subway with a wallet inside. Her roommate Erica (Maika Monroe) says they should keep the money, but Frances is honest and seeks out the owner. The purse belonged to Greta (Isabelle Huppert), a French widow living alone in New York, desperate for companionship. Frances, who just lost her mother last year, finds comfort and solace in Greta’s company. They become friends until the evening where Frances finds something in Greta’s house that scares her to the bone. She tries to cut ties with the strange woman, but an obsession has formed, and Greta begins psychotically stalking her. The police are no help and Frances must take matters into her own hands. Ray Wright (The Crazies) and Jordan’s script plays off psychological terror in the way Shymalan’s The Visit worked. Jordan doesn’t allow a ceiling for how wildly camp Greta can become, each scenario the audience lands in has no boundaries. You will never look at cookie cutters the same way, that’s for sure. This isn’t a perfect thriller by any means, viewers who prefer more fact checked realism will become disinterested fairly early when Greta proves there are no rules to play by. There are a few false turns in the narrative that string the audience along unnecessarily, however for the most part this is the type movie that taunts the viewer, evoking claps, shouting suggestions for the main character and even some eye covering moments. When asked why she choose this film she replied, “You don’t say no to working with Huppert”. Indeed, it’s the ostentatious Huppert who isn’t afraid of any subject matter, making Greta so marketable and riveting (bravo to Focus Features for taking a risk). Small touches like Greta dancing in her stockings over a body with turntable playing make the film slightly sadistic. 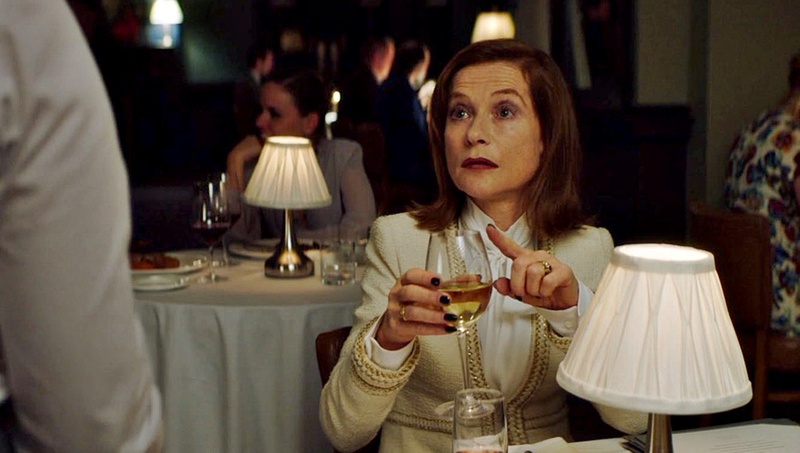 Huppert creates the perfect villain that should evoke quite a few “that’s messed up” reactions before reaching its applause worthy conclusion. Moretz is well cast here but can’t hold a candle to Huppert, few American actors have the freedom she enjoys as a performer. Frequent horror actress Maika Monroe (It Follows) makes this a welcome female trifecta, getting some juicy moments of her own. Greta is the first must see film of 2019, a welcome unpredictable thrill ride of madness.